For years, a commonly used tactic for protecting threatened and endangered animals in Puget Sound was to cordon off areas to fishing. More than 100 marine protected areas exist around the Sound to protect shoreline critters and help fish populations such as rockfish recover to healthy numbers. But protecting Puget Sound is not just about recovering certain species of fish. As the region continues to grow, it is also about protecting the livelihoods and diverse cultures of the people who live there, and balancing their needs with the needs of the natural world. 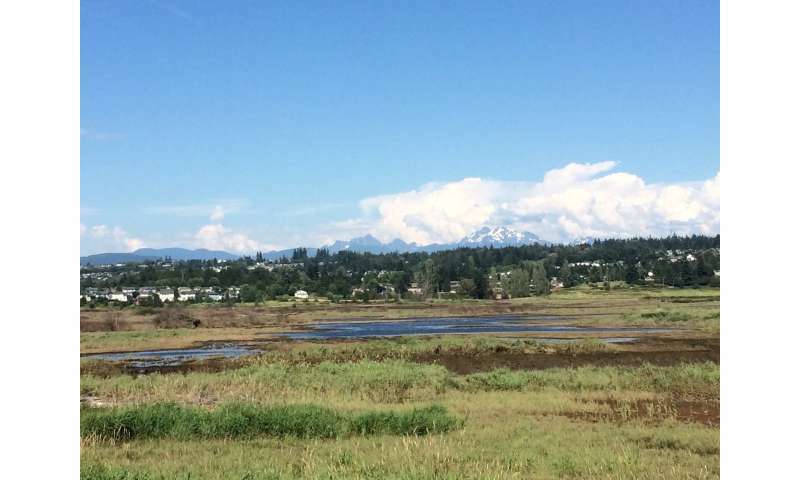 A team of University of Washington researchers and their collaborators tackled this quandary in a study spanning years and miles, across Puget Sound's rural towns and urban centers. Through surveys and interviews with residents, tribal members, boaters, and state and federal agency contacts, they found that policies are shifting toward restoration projects that include input from more groups and offer a range of benefits to Puget Sound, including flood control, salmon recovery, recreation and habitat protection. The researchers published their results online in June in the journal Ocean and Coastal Management. They believe this study is the first to document what has been a five- to 10-year policy shift in Puget Sound. Their study provides insights on how future restoration policies can meet the needs of various constituencies in the region. "Understanding how to manage resources in Puget Sound is going to require understanding how different social groups use and interact with these resources going back many thousands of years," said study principal investigator and corresponding author Patrick Christie, a UW professor of marine and environmental affairs and of international studies. Christie, together with UW marine and environmental affairs professor David Fluharty and colleagues, initially focused their study on marine protected areas in Puget Sound. Washington state has a long history of designating areas under different authorities to protect habitats for long-lived rockfish and to create marine reserves for recreational SCUBA diving. A network of marine protected areas across the country also employs this tactic to protect marine ecosystems and endangered species in the ocean. But the designation of new marine protected areas has largely stalled across the Puget Sound region. As the researchers collected information through questionnaires distributed in public places near 12 of Puget Sound's marine protected areas, they realized many local residents, boaters and fishers were unaware of the purposes for restricting fishing access in specific areas. Additionally, tribes co-manage fisheries in Puget Sound—a federal treaty right reaffirmed in 1974 through the Boldt Decision. They have voiced an expectation to play a leadership role in the decision and process of setting up marine protected areas in line with their legal rights as resource co-managers, and expect clear scientific justification that protected areas are the best tool to protect Puget Sound salmon and other species. The researchers say marine protected areas likely do play a positive role in some situations in Puget Sound, but that restoration projects that engage more people and reflect multiple interests are likely to take the lead in future years. "In a sense, the advocates for marine protected areas maybe aren't willing to meet the bar that the tribes have clearly articulated," Fluharty said. "The process needs to recognize they are co-managers of the resource, and there has to be very clear scientific justification that marine protected areas are the right tool for the problem." To recover salmon populations in Puget Sound, for example, requires a broader and more complex effort spanning marine and estuarine waters, as well as habitat protections throughout entire watersheds. The second half of their study looks at an example of a restoration project that involved various social groups and produced multiple benefits—a potential model for future restoration in Puget Sound. 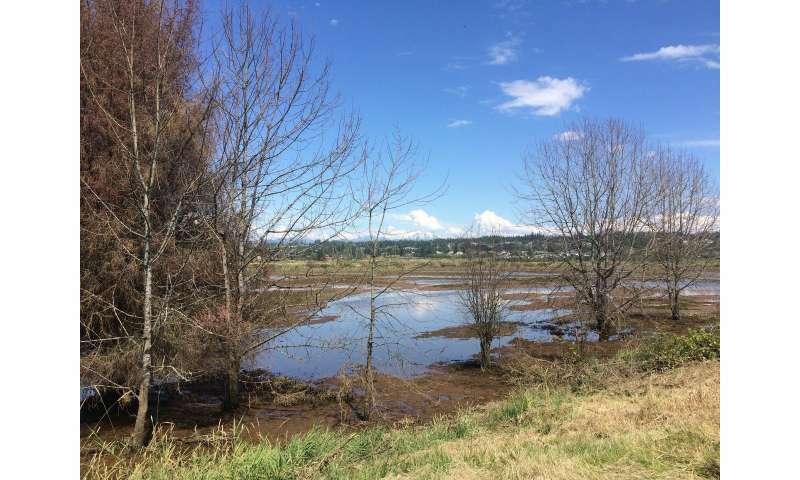 A similar approach has been used for the Nisqually Delta restoration project along Interstate 5 northeast of Olympia, as well as for the Ebey Slough restoration adjacent to I-5 near Marysville. The Qwuloolt project ("marsh" in Lushootseed, the traditional language of the Tulalip and other Coast Salish local tribes) was a large-scale, Tulalip Tribes-led effort north of Everett, Washington, to restore the mouth of the Snohomish River—key salmon habitat—by breaching dikes that had for years allowed the area to be used as farmland. The project lasted two decades and cost nearly $20.5 million, and it is largely seen as a success, mainly because of the negotiating and relationship building among a slew of constituencies. From their interviews with Qwuloolt project leadership and technical advisors, the researchers acknowledge that future projects modeled on this example need to cost less and move more quickly, but the basic framework of involving all parties and remembering that diverse social interests and cultures are part of the equation in Puget Sound are key to their success. "Frankly, if we want successful policy, we need to be attentive to types of work that highlight collaborative, inclusive planning processes, and a shift from policies that are government-led and not as inclusive of human dimensions toward others that are more collaborative," Christie said. Can Dungeness crab and eelgrass help improve management of our marine resources?